This year was the first time we dedicated any significant amount of time to exploring Northern Italy. We’d both been to Venice several years ago, but only on a day trip. After leaving Tuscany, we headed up to the Veneto, a stunning region that spans from the Dolomite Mountains to the Sea. Historically, this region was part of the Republic of Venice, one of the most powerful and wealthy empires of Europe. We stayed at Relais Alice nella Vigne, an incredible bed and breakfast that is owned by one of our favorite Prosecco houses by the same name. 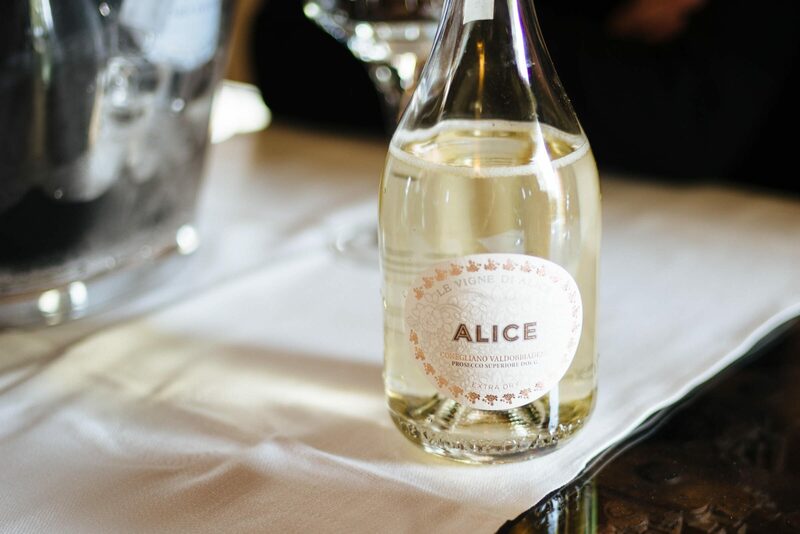 Winemaker Cinzia Canzian and her sister-in-law, Pier Francesca Bonicelli founded Le Vigne di Alice in 2004, which is named after Cinzia’s grandmother. Their husbands own Bellenda, another Prosecco house whose vineyards are just outside the window, making for the view that everyone dreams of when staying in wine country. 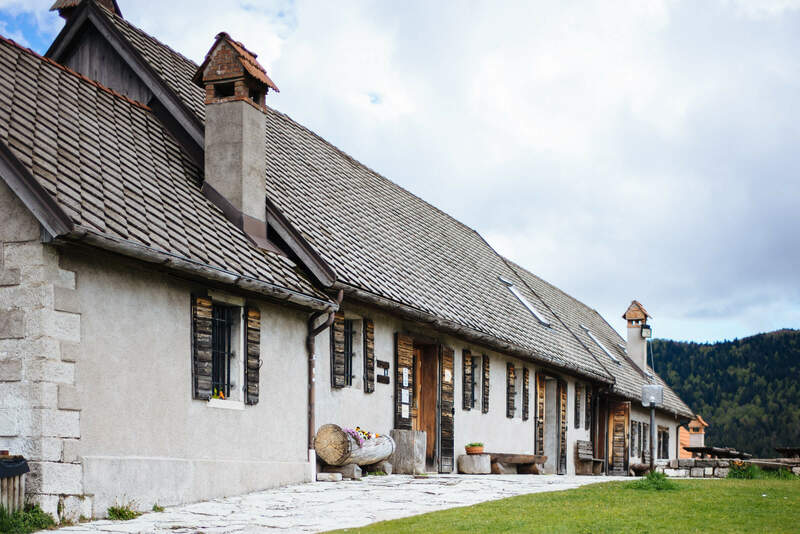 The families share their winemaking facility just down the drive, but keep their winemaking separate. The entire family is in the Prosecco business, but operating independently allows them to make wines in two distinct styles. When we asked which of their wines they drank at home, the answer was neither! They typically drink their friends wines as to not compete between the two Prosecco houses. The lovely bed and breakfast is located in a hilltop farmhouse set among beautiful vineyards and the rolling hillsides of the Prosecco region. It’s at the same time modern and charming, and the rooms are named after characters from Alice in Wonderland, we stayed in the Alice room. The view from our room overlooked vineyards and Chiesa Parrocchiale di San Daniele Profeta in Carpesica. It was spectacular, especially when the church bells were ringing! Each morning, we enjoyed a full spread of espresso, fruit, meats, cheeses, yogurts, and pastries. The perfect way to start a day of adventure in the rolling mountains and waterfalls of the Veneto. It’s just a short drive into the historic town of Vittorio Veneto from the hotel. You can rent a vespa to tour the scenic Prosecco Road, the Consiglio Forest, or the Caves Caglieron. 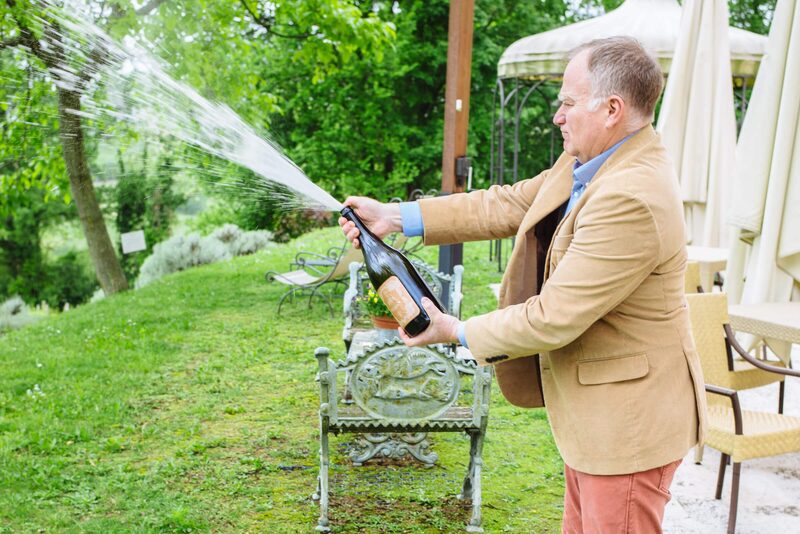 While here, you must taste both Le Vigne di Alice’s and Bellenda’s Proseccos. A special experience you really won’t want to miss is the Prosecco Picnic. Spend an afternoon in the vineyards with perfectly-sized half bottles of Prosecco, paired with sandwiches, salad, fruit, and cookies. It’s the perfect way to experience Prosecco while taking in the beauty of this incredibly scenic region. Check out our Guide to Veneto for more ideas on what to do while you’re visiting. Thank you to Relais Alice nella Vigne for hosting us.